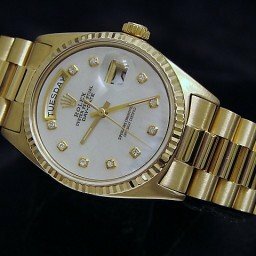 BeckerTime is proud to offer this impressive 100% GENUINE ROLEXtimepiece. 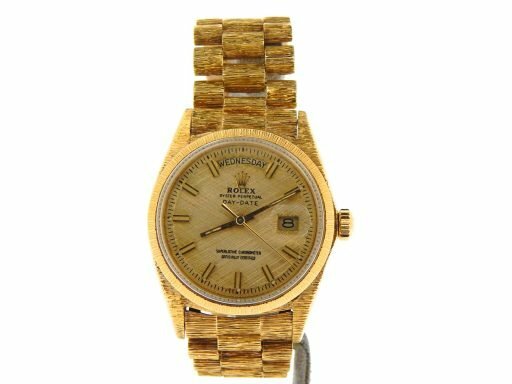 It is a Mens Rolex 18k Yellow Gold Day-Date BARK President w/Gold Linen Dial Ref#1803 that is guaranteed to impress! It is in EXCELLENT CONDITION and comes with the BeckerTime 1 Year Warranty & 100% Lifetime Trade-Up guarantee. 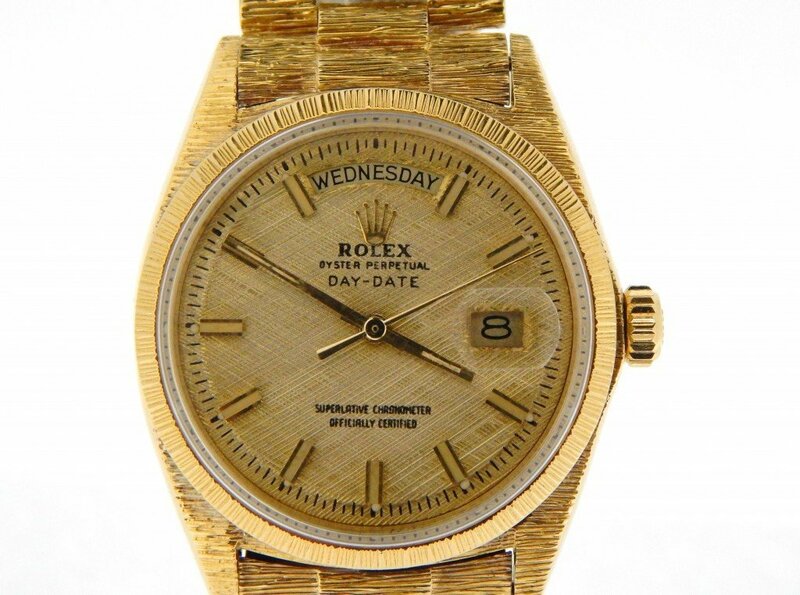 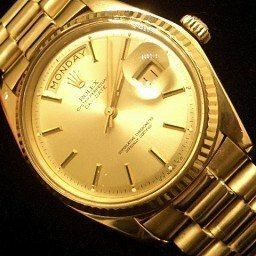 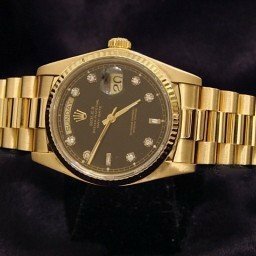 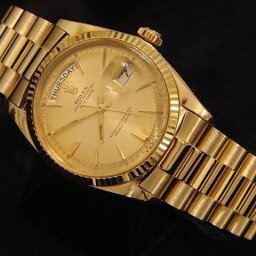 Don’t let this one get away…Buying a 100% genuine Rolex at this price doesn’t happen often…This type, if all factory, would sell for $31,350 plus tax today! Dial Rolex gold champagne dial with rare 18k yellow gold “wide boy” raised stick markers has been refinished with a Florentine finish to match the case and band resulting in an AMAZING look. 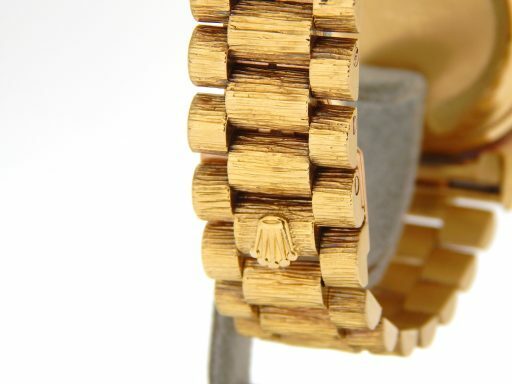 Bezel Rolex 18k yellow gold bark finish bezel. 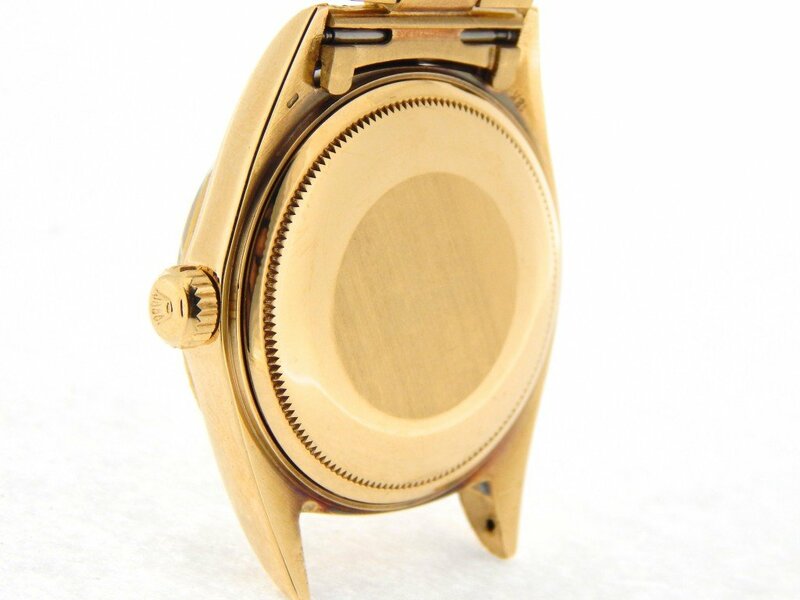 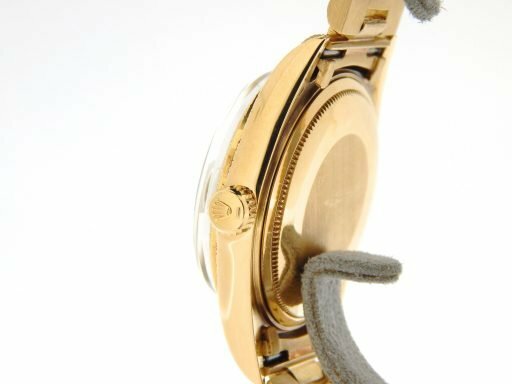 Case Rolex solid 18k yellow gold case is in excellent condition. The lugs have the special custom added bark finish. 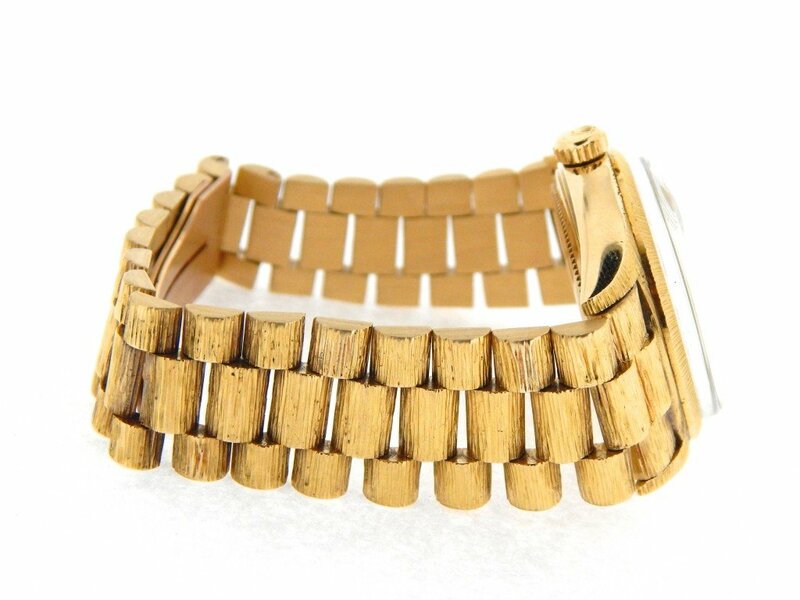 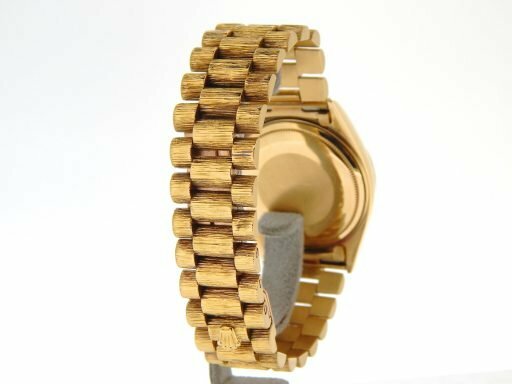 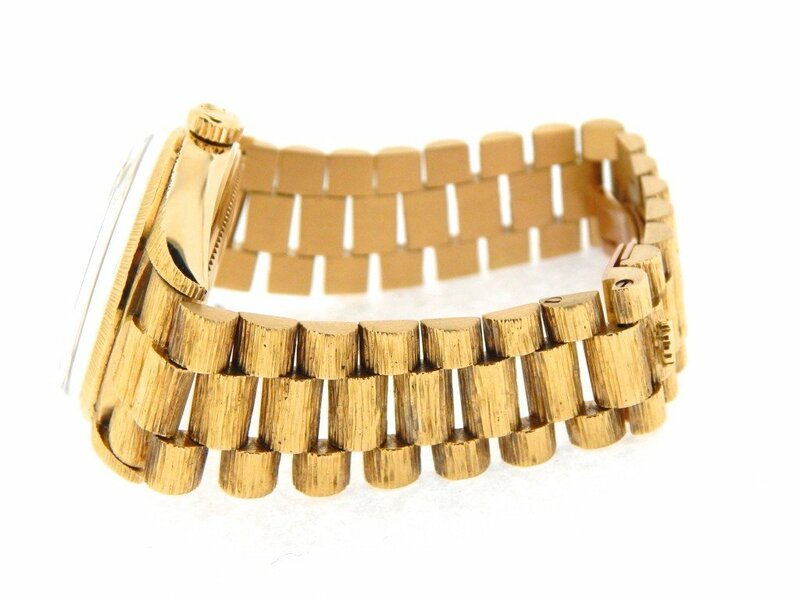 Band Rolex solid 18k yellow gold presidential bracelet with Rolex signed hidden clasp is in excellent condition with some stretch between the links. 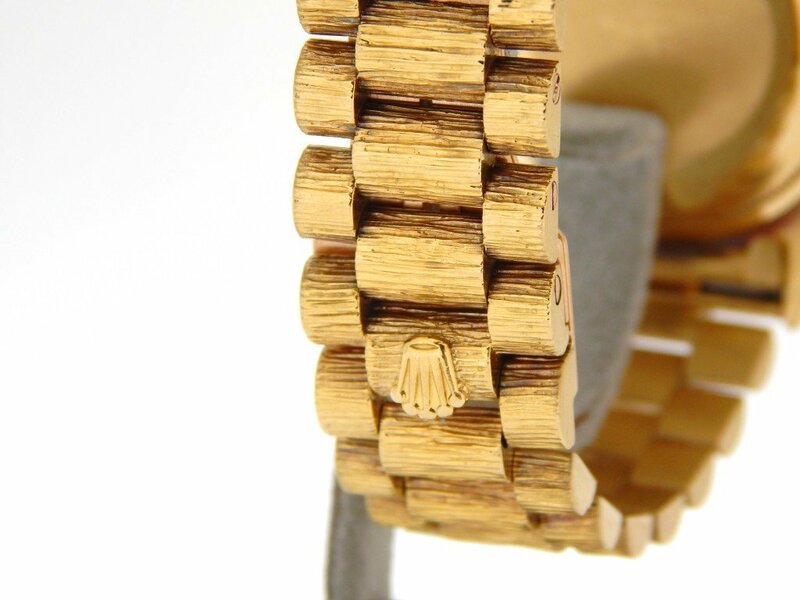 The inner and outer links have the special custom added bark finish.